WHAT: Renowned linguistics professor Alice Howland (Julianne Moore) is a happily married mother of three grown children who has begun to experience problems with her memory. When she’s diagnosed with Early-Onset Alzheimer’s disease, Alice’s relationships with her family are tested as she struggles to maintain a normal life despite the worsening symptoms. 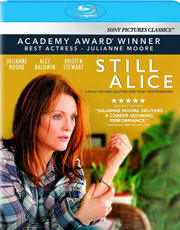 WHY: “Still Alice” is an emotionally devastating, soul-crushing movie that is bound to end in tears for anyone watching it, which makes the decision to release it on home video the week of Mother’s Day especially cruel. With that said, writers/directors Richard Glatzer and Wash Westmoreland (the former of whom recently died from his own battle with a terrible disease, ALS) do a good job of portraying the illness and the effect it has on the people around those afflicted without cheapening its real-world impact or pandering to the audience. The story also smartly avoids getting too deep into Alice’s illness too soon, allowing you to witness Alice in her natural habitat as a wife, mother and teacher, thus making her mental deterioration that much more traumatic. Based on Lisa Genova’s 2007 bestselling novel of the same name, the film is such a well-acted drama that it deserves every accolade it received during last year’s awards season. It wouldn’t be as effective without Julianne Moore in the lead role, however, and she delivers a career-best performance as the intelligent and independent matriarch forced to suffer her worst nightmare. Alec Baldwin and Kristen Stewart are also solid in supporting roles, but this is Moore’s movie from start to finish, and she commands the screen with such brutal honesty that it was never a question of if she’d win the Oscar, but why it took so long. EXTRAS: In addition to a discussion among the cast, crew and Alzheimer’s experts about creating an accurate depiction of Alice’s disease, there’s a profile on directors Richard Glazer and Wash Westmoreland, an interview with composer Ilan Eshkeri and a few deleted scenes. 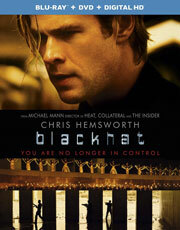 WHAT: After a cyberterrorist causes a meltdown at a nuclear reactor in China and makes millions on the stock market by driving up the price of soy, FBI agent Carol Barrett (Viola Davis) makes a deal with imprisoned hacker Nicholas Hathaway (Chris Hemsworth) to expunge his record in exchange for his help in stopping the malicious blackhat before the next attack. WHY: Over the past decade, Michael Mann has come to care more about the look of his films than what they’re trying to say, and that hasn’t changed with “Blackhat.” To be fair, when the camera isn’t shaking around like it’s in the middle of an earthquake, the movie boasts some really gorgeous visuals. It’s just a shame that the story hasn’t been given the same attention. Mann tries to counteract the implausibility of Morgan Davis Foehl’s script by instilling a sense of danger with real stakes, but there’s too much working against it, including a faceless villain who isn’t very threatening and a needlessly convoluted plot that fails to validate the sluggish, 135-minute runtime. Chris Hemsworth does the best he can with such a dull, underdeveloped character (wasting his charismatic presence in the process), although Chinese actors Leehom Wang and Wei Tang fare much better in supporting roles. Perhaps the most annoying thing about “Blackhat,” however, is that it constantly brings up 9/11 as a measure of the level of terror that the hacker is capable of launching against the world, and yet the film never even considers going in that direction. This could have been a very timely thriller about cyber-terrorism, but instead, it’s just another style-over-substance misfire from Mann. EXTRAS: There’s a trio of featurettes on the film’s production, shooting on location and the real-world threat of cyber-terrorism. 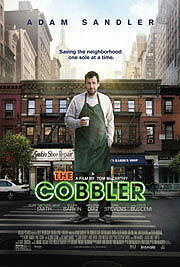 Max Simkin (Sandler) is a fourth-generation cobbler who’s taken over his family’s shoe repair store in Manhattan after his father (Dustin Hoffman) abandoned Max and his mother with no explanation. When his equipment breaks one night while fixing the soles on a pair of shoes, Max heads down to the basement to use an antique stitching machine that, unbeknownst to him, has magical powers that transform him into a doppelganger of the shoes’ owner when he puts them on. (As long as that person is a size 10 ½ like Max, of course). Excited by the numerous possibilities that it offers, Max takes advantage of his newfound ability by getting revenge on a particularly rude customer (Method Man), only to get mixed up in a criminal scheme to redevelop the Lower East Side by a corrupt real estate mogul (Ellen Barkin).